Well, in the end I decided to give it a go. I am currently in Auckland. 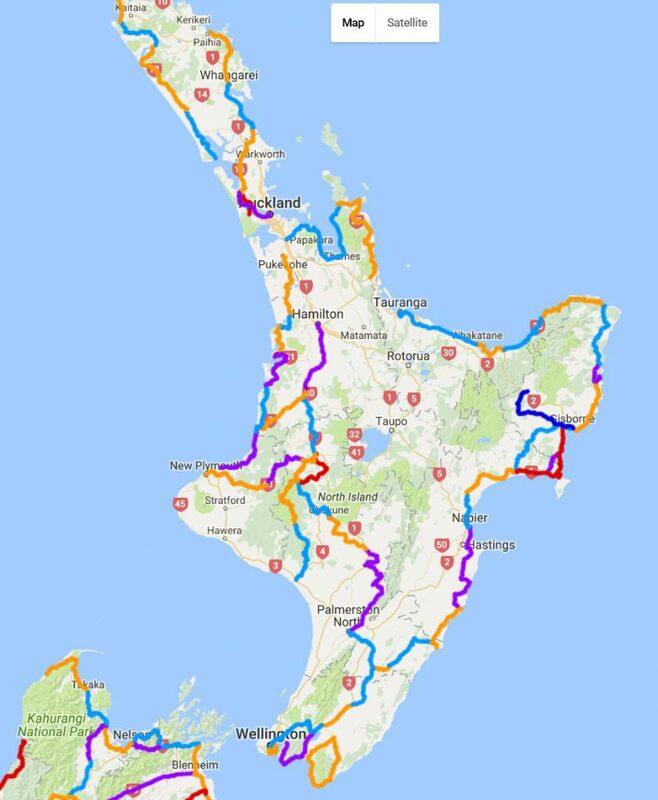 My plan is to cycle from the town of Hamilton (which is just south of Auckland) to Christchurch, and then see what happens. I am currently in a budget hotel near the Auckland airport, and am going to head out in a few hours to catch a bus to Hamilton. Apparently, you really can’t cycle south out of Auckland–it is just too dangerous, and might actually be against some law or such. I left Key West about 7 AM on Dec 22nd. It is amazing how difficult it is to extricate yourself from a country, via an airplane, when you have a bike and about 70 pounds of gear in tow, and you are doing this without assistance. I was fortunate enough to find a bike shop within walking distance of the campground, and about 3 miles away, there was a UPS store that sold boxes. A quick stop at the Home Depot for some tape, and I was nearly there. 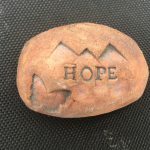 But, then I realized that I would soon run out of my prescription heart medicine and it would be difficult if not impossible to fill it in New Zealand. I put my doctor in contact with the Walgreens next to the Home Depot and waited. A day later, I still had not heard from the pharmacy, so I went by there to see what was up. It turns out that one of the medications I take–Zetia–has just recently gone into the “generic” stage. This mean that 1) my insurance will only pay for the generic, and 2) no one actually has the generic, because it just came out. If I were to pay for the name brand out of pocket, it would cost me $11 per pill, or nearly $800. The Walgreens called around and found a pharmacy on Duval Street that had 30 pills, and I biked over there to take what they had. Now–keep in mind that I was camping in Key West. (This campground was actually pretty comfortable, and had incredible wifi. I watched a complete miniseries on Netflix-“OA”-and really enjoyed it.) As such, most of my packing had to be done prior to a morning cab pickup at 7:00 AM. So, I got up at about 4:30 and completed the job in the dark. 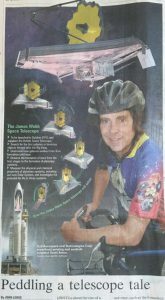 I had my backpack, a 16″ cubic box, and the boxed bike. 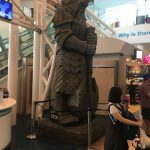 When I got to the airport, I discovered that they didn’t have luggage carts, and getting myself and the 3 items to the check-in counter proved to be quite difficult. 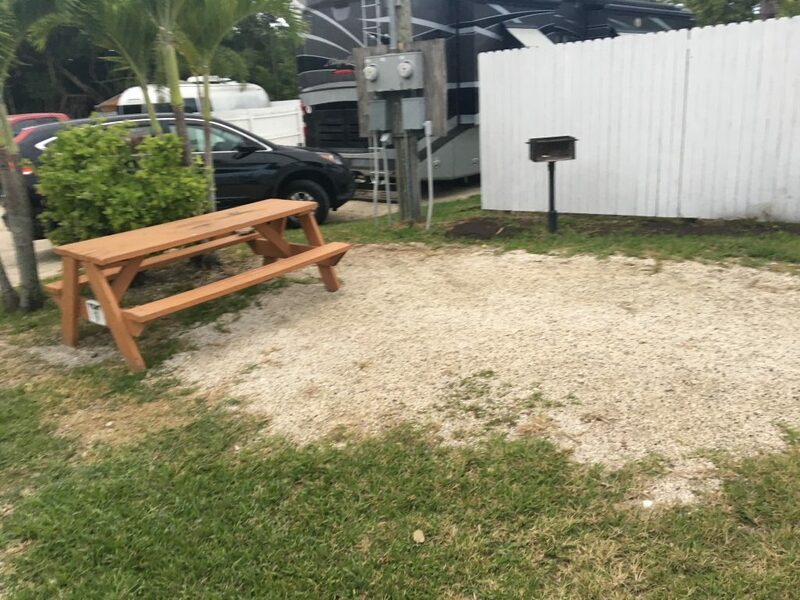 A very comfortable campground in Key West. $210 for 3 nights. I paid American Airlines $150 to check the bike and the gear, and went to the gate. I had a 1-hour flight to Miami with a 2 hour layover, then a 6 hour flight to LA, with a 5 hour layover. When I arrived in LA, I realized that I neglected to get another drug that I take (Nexium) that is OTC in the US, but most likely prescription in New Zealand. Man, all of these drugs sure are a pain! So, it was a 2 hour process to get out of LAX, to a drug store, and back. On the way back through security, I forgot about my water bottle in the bag, and I had to exit and go back through it again. Difficult, but easy compared to acid reflux. Eventually, I settled down for the 13 hour flight to New Zealand, and arrived at 9 AM on Christmas Eve. This was a surprise as I expected to be arriving a day earlier. I had totally overlooked a detail–on the clock, Denver is 4 hours ahead of me, but on the calendar, I am actually 20 hours ahead of Denver. I lost a day! At some point between turning my gear over to the airline, and retrieving it in Auckland, the bottom of the bike box came open. I suspect that someone ignored the “this side up” instructions on the box, and opened the bottom for inspection, but I can’t be certain. In any case, I lost a peddle in the process, and discovered this fact at noon on Christmas Eve, as I was assembling the bike. I called the closest bike shop and found that they did indeed have a set of “Crank Brothers” peddles, but they were closing in 1 hour. I had to check my bike at one of those places that watch your bags for you–$20–and take a $40 taxi ride to the shop. Then, it was $110 for the peddles, and a $20 Uber ride back to the airport. That’s $190 NZ, or about $131 US. 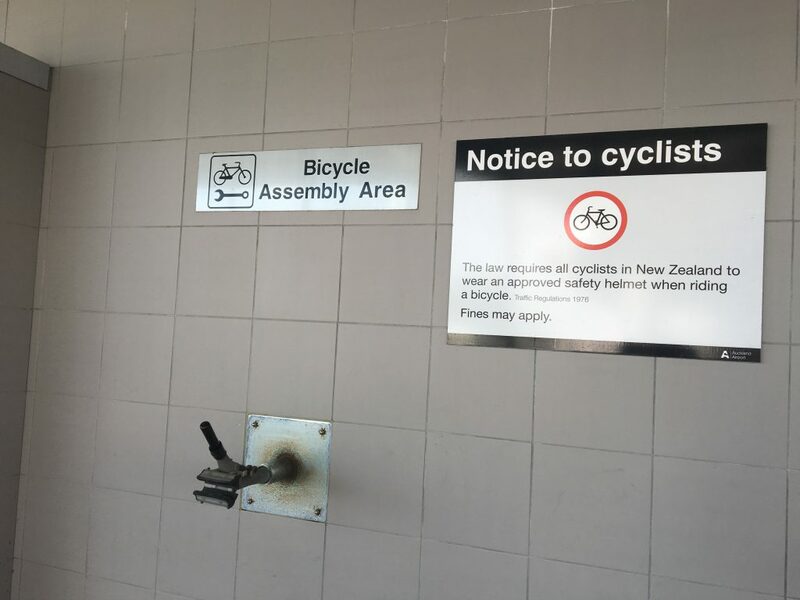 I will say this–the NZ airport at least takes bikes seriously. They have a designated area for assembling them! Bike assembly at the Auckland airport. 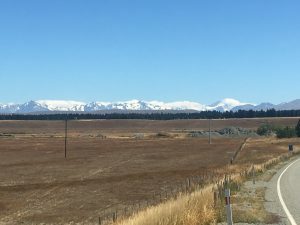 Entering New Zealand was uneventful. No one cared that I only had a 1-way ticket or asked me to prove that I had funds to support myself. If they noticed the pepper spray in my x-rayed bags, they said nothing. They were very concerned, however, that I had a tent and took it into a separate room for inspection; a first for me. After getting my new peddles installed, I rode to a local Ibis hotel, and got a room for two nights. Christmas eve was a can of soup, and Christmas day, a trip to McDonalds. Yum! I thought you might like to see the route that I will be taking from Hamilton. 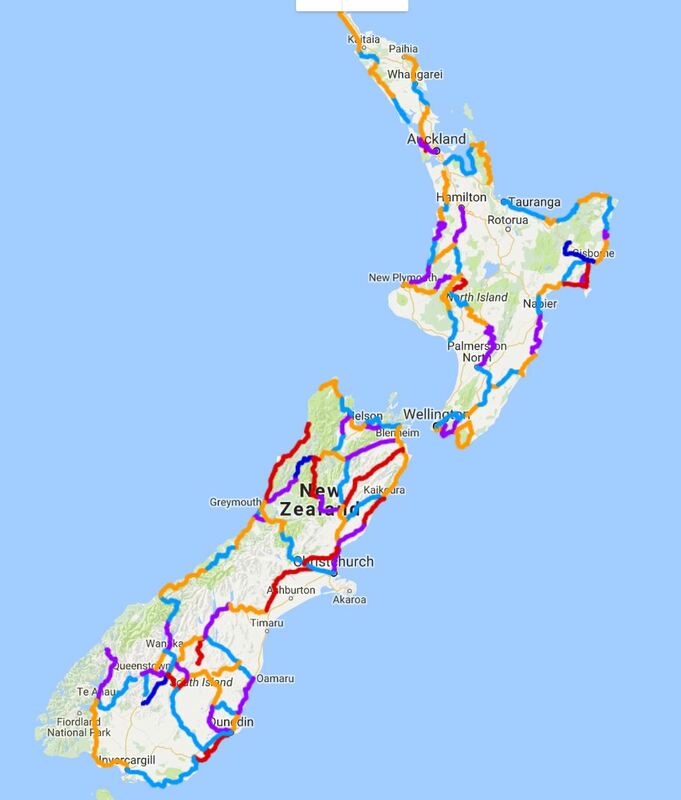 Here is a map of cycle routes on the North Island. As you can see, I could either take the interior, departing from Hamilton, or leave from the city of Tauranga and follow to coast to Wellington. The coastal route is 713 miles with 33407 feet of climbing. 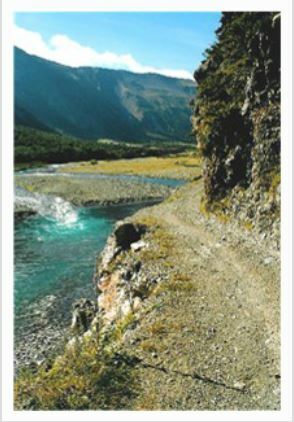 The inland route, however, is 416 miles with 14983 feet of climbing. The coastal route is hillier! As a result, I am going to be following an inland route. Two ways to get to Wellington. Gotta take those corners slowly. I really would like to complete the tour with at least 10,000 miles of cycling. As of today, I am at 8237. If I complete this ride and Cuba as well, I should just make it. Internet seems to be somewhat sparse here, but I will try to post as I can. I think I’d be WALKING around some of those corners! Merry Christmas–or the day after it seems😊 Love you! I hope you really enjoy New Zealand 🇳🇿. I’ve heard it’s beautiful beyond belief! Happy Holidays, you were missed by family. Congratulations on making it to New Zealand! Merry Christmas. Looks like a beautiful dream has some tough corners. Keep cranking! Yeah Scott! The quest for Frodo is on. Keep living the dream.